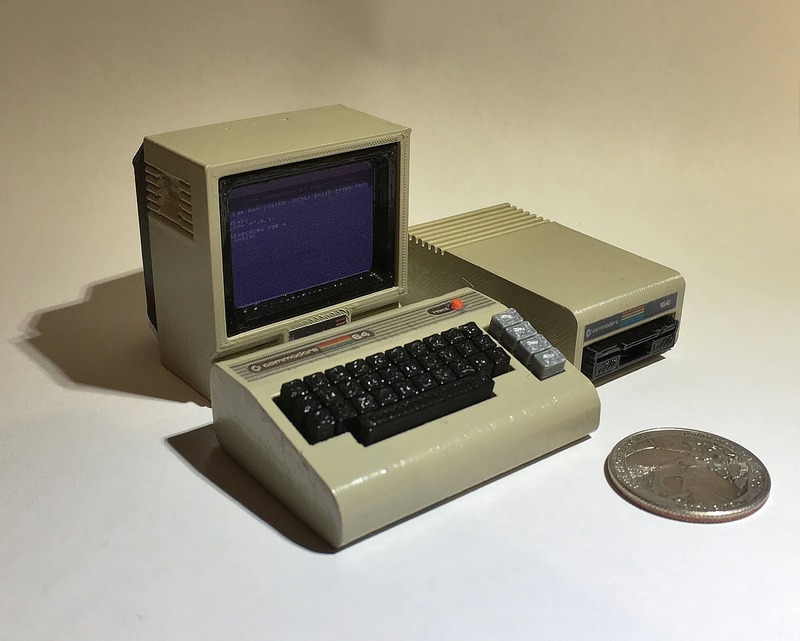 This tiny, 2"wide Commodore C64 set was designed using open source CAD software, 3D printed on a Makerbot Replicator, and hand painted and assembled. A great addition to your desk or studio. Includes the C64 computer, 1702 monitor, and 1541 disk drive. Purchased this as a Valentine's day gift for my boyfriend. He loved it! It's perfect! Mini Commodore C64c with 1541 Disk Drive - 3D Printed!